This film follows individuals who took a saddening event in their lives, the termination of their job, to follow new careers and, as a result, their dreams. What happens when people in creative fields are laid off from their jobs? Though some employees may be expecting their job to end, it can come as a complete surprise for others. This documentary follows a number of individuals in the marketing profession who lost their jobs only to find a new, better-for-them career. Though these individuals landed on their feet, they openly discuss the troubling times that followed their termination and how those rough patches led to them each taking the chance to follow their dreams. 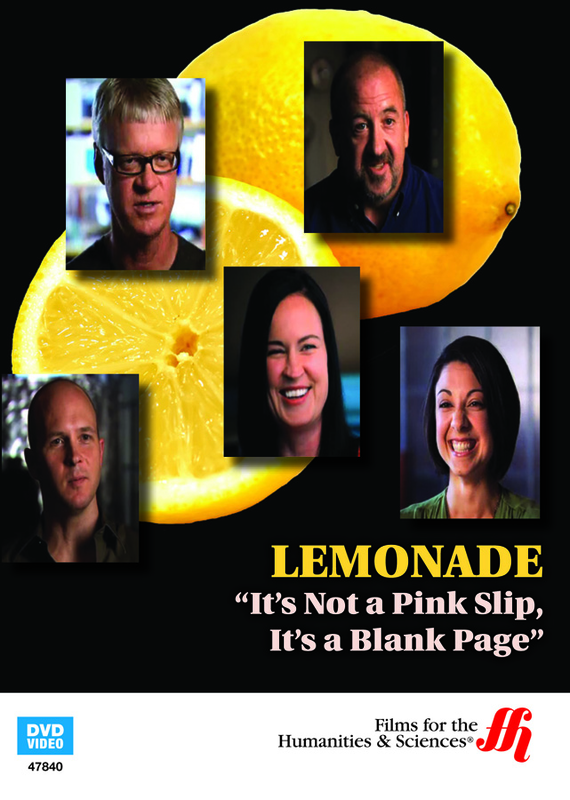 At a time when everything seemed to be at its worst, these professionals listened to their inner voice and turned lemons into lemonade. This film runs 36 minutes and may contain some language that could be offensive to viewers.